Let us hold tightly without wavering to the hope we affirm, for God can be trusted to keep His promise. Let us think of ways to motivate one another to acts of love and good works. Trust is not always easy to do, especially if we have been hurt by others or people in our lives have failed to keep their promises. Have you ever heard someone just say trust me and you just want to say well that is easier said then done. Maybe the people in your life you have trusted have stabbed you in the back too many times and you have built a wall up around your heart now and it's just too hard to let anyone in! Well, my friend, please let me share with you that you are not the first person this has happened to! I have been there way more times then I can count, but I have Good News, there is a friend I know who sticks closer than a brother, who we can count on. A friend who always keeps His Word and never breaks His promises! His name is JESUS!! There is so much scripture to back this up and I could quote it all day long to you but the fact of the matter is, is that Jesus wants you to experience this for yourself! 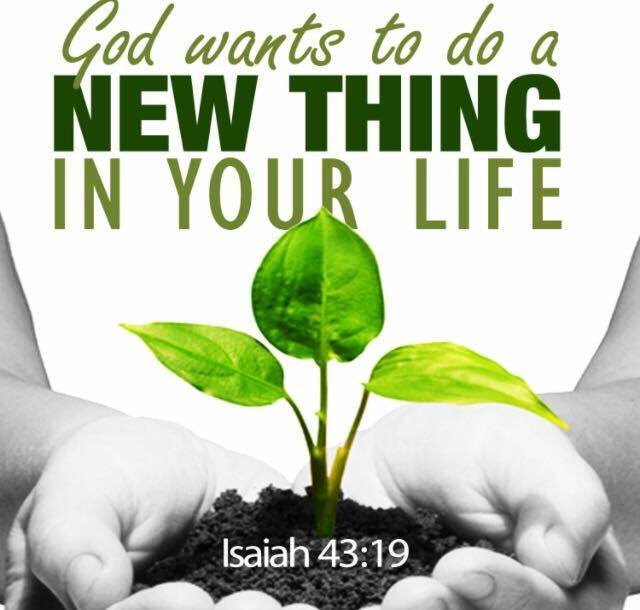 He wants so much for you to do this thing called life and the faith walk with Him. You see this road we have been called out on is not always an easy road to walk, but we have been chosen for it! He has a greater plan then we have for ourselves and He sees the bigger picture. But this relationship with Jesus requires trust in who He is and Faith in Him. Believing that He is the Lord Almighty, that He can do what He says He can do and that He has us in His hands. That is what a truly surrendered life is! Does this mean we just skip throughout the day and never have a care in the world? Haha! I wish, I could do that, but I'm not that good yet!! LOL! I just questioned God just this week about some situations that arose in my life and I was saying to Him, "God you see that I have been faithful, so why is this so hard?" But, then I turned around and I found myself in the same sentence saying, "but God no matter what I will still trust You, You have brought me through too many times!" Well, the moral of the story is God showed up the very next morning and showed just how FAITHFUL HE IS, even when I am not. All I could do was fall on my knees and thank Him and praise Him for how good He is and say yet again, "God You are always on time so I will yet again continue to TRUST YOU"!! See, God does not fail, even though man fails us and we fail ourselves so many times, God is still on the throne and He loves His children so much and He came to give us an abundant life and He keeps showing me if I will just give Him all of my worries and trust Him in every situation and through every circumstance, even when things don't work out the way I think that they should or when I think they should, He has my best at hand and He knows what is best for me and for you! And no matter what you have walked through in the past, God can work it for His glory!! Choose to STAND ON HIS PROMISES!! Do not be shaken or tossed to and fro from your circumstance! JESUS IS COMING SOON!! Let's be found faithful serving Him with all our hearts, all our souls, all our minds and all our strength! God bless you as you continue in your relationship with Jesus!!! ***Also, here are some resources I just want to leave you with to check out! I listened to this message last night and it blessed me so much and spoke to my heart! Hope it blesses you as well! Sometimes you will face situations that are bigger than you are, making you feel as if you have no answers or resources to continue on. Everything in you says, "Give up!" But don't do it. Friend, you're in the midst of a faith test. God isn't punishing you and He hasn't forgotten you. Rather, He is providing an opportunity for you to grow spiritually and believe Him for greater things. So make a decision to believe the Lord in spite of everything. Don't look at your circumstances or pay attention to the opinions of others. Listen to the Father. What a great word!! I can't take credit for that one, that was all written by Charles Stanley and it is so TRUE!! I love where it says, 'Jesus really is sufficient for every need', get a hold of that and put it in your spirit. Because the fact of the matter is JESUS truly is ENOUGH! He paid a high price for us and He knows every circumstance we face and trial we walk through and storm that rages against us and He is the Lion and the Lamb who can face our circumstance and He is the peacemaker who can give us peace in our trials and He can sure calm the storm!! He is the same God we read in the Bible still today!! Don't throw in the towel, we are so close to the finish line and we need to continue to persevere now more than ever. Hold on to His right hand. I love the scripture that says, Because you are my helper, I sing for joy in the shadow of your wings. I cling to you; your strong right hand holds me securely. Psalm 63.7 Thank you JESUS!! Get in the Word and be reminded of just how mighty He really is! Nothing is IMPOSSIBLE with GOD! ****Please check out this interview of Joyce Meyer and Lisa Bevere and Nick Vujicic!! Powerful on how to Keep Holding On and overcoming adversity! There is an ABSOLUTE TRUTH and it is the WORD of GOD!! So many in the world today don't have a truth that they believe in. It is only what they feel truth is for themselves and it can change from day to day. Well, my friend that is not an absolute that is considered Relativism. We as believers need to know what we stand on and show the world that standard and live it out daily! So many today are walking in confusion and chaos because they don't know the truth. But Jesus said, I AM the Way, the Truth and the Life, and we need to show the world this because He is the only way to the Father! Jesus died for all and He longs for each of us to know Him. He has angels who worship Him daily crying HOLY, HOLY, HOLY is the Lord God Almighty. These angels were created just for this purpose, yet we get to choose to do this! I can't imagine how He must feel when we choose Him and we choose to worship Him and love Him and serve Him. You see He first chose each of us and to give up His own life for each of us. That is unimaginable to me and so hard for me to wrap by little head around the fact that someone loves me that much! It may be for you too, but the TRUTH is HE did and HE does!! 2 Timothy 3:14-1614 But you must remain faithful to the things you have been taught. You know they are true, for you know you can trust those who taught you. 15 You have been taught the holy Scriptures from childhood, and they have given you the wisdom to receive the salvation that comes by trusting in Christ Jesus. 16 All Scripture is inspired by God and is useful to teach us what is true and to make us realize what is wrong in our lives. It corrects us when we are wrong and teaches us to do what is right. I will remain faithful to Him!! He sure remains FAITHFUL ALWAYS!!! I will stand on His Word and His promises! I will not sway to the right or to the left. I will keep my eyes fixed on JESUS! Hebrews 12:2 says, He is the Author and Finisher of our faith! Don't be deceived in these last days, dig into God's Word and let Him speak into your heart, He longs to speak to you and have relationship with each of us. He is a good God and HE IS COMING SOON!!!!!!!!!!!!!!! LET'S BE READY!! The Lord directs the steps of the godly. He delights in every detail of their lives. Though they stumble, they will never fall, for the Lord holds them by the hand. Did you know that the Lord directs every step that you take. He cares about every single thing in your life! We as humans tend to veer off on our own paths all the time because we are a type of people who want our own way all the time. Think about this for just a minute, especially us as parents: Have you ever tried telling your child or teenager, hey don't go there or do that because you are gonna get hurt or that is not a safe place to go, or I just don't think that would be a wise decision for you, or I don't feel good about that! Do any of those statements sound familiar to anyone??? Yeah, to me too! We try to tell our own children and lead them on the right paths and how many times are they telling us they know what they are doing and have it all figured out already or they know where they are going and what they are doing? Does that sound familiar? Haha, yep, to me too! Well, I believe it is the same with our Heavenly Father! He has a perfect plan for our lives and He knows best for each of us and He wants to direct our steps just like any good Father would and He cares about EVERY single DETAIL of our life. He cares about where we are going and what we are doing and wants to be involved in every decision that we make because after all He is the one who set that plan in place to begin with! So why do we try to figure it all out on our own? We just end up in a mess and then wonder how we ended up there, LOL! I know from first hand experience all too many times!! I am so thankful that Jesus loves me and you and walks and talks with me and cares about every area of our lives and wants to be a part of it. He is willing to hold our hand and walk us through it, if we will just allow him to! Let God have total control today cause believe me, His way is so much better than anything we could even think or imagine for ourselves anyway!!! Besides, without God, it's just a plan, but WITH GOD it's ORDERED STEPS!!!!! Thought this was cute and you might enjoy it! We have to realize though how truly important it is to put on daily the full armor of God! We are fighting a spiritual battle and not against flesh and blood! That is what Ephesians 6:12 tells us. The enemy hates the fact that we stand for JESUS! When you became a follower of Christ a target was placed on you. He wants nothing more than to see us fail, but the Lord sees us as VICTORIOUS! If you look at the story of Nehemiah, he was being mocked and ridiculed and there were people trying to set him up even in situations for failure. But Nehemiah had a burden for Jerusalem and was doing what he knew he was called to do. He even found favor along the way to do it, even in the midst of all the trials! See when it seems like you are up against the hardest of battles, God still will make a way! Nehemiah told the people in Nehemiah 4:14-18, "Don't be afraid of the enemy! Remember the Lord, who is great and glorious, and fight for your brothers, your sons, your daughters, your wives, and your homes!" When our enemies heard that we knew of their plans and that God had frustrated them, we all returned to our work on the wall. But from then on, only half my men worked while the other half stood guard with spears, shields, bows, and coats of mail. The leaders stationed themselves behind the people of Judah who were building the wall. The laborers carried on their work with one hand supporting their load and one hand holding a weapon. All the builders had a sword belted to their side. The trumpeter stayed with me to sound the alarm. Coat of mail- is a jacket covered with or composed of metal rings or plated, serving as ARMOR! - This is what these men who were building were wearing! While continuing on with their walk and walking out their calling they continued to STAND their GROUND and were ARMORED UP!!!!!!!!!!!!!!!! We cannot back down for a second during the journey! God has called us and we have things to do for the Kingdom. Galatians 6:9 says, And let us not grow weary while doing good, for in due season we shall reap if we do not lose heart. DO NOT LOSE HEART, KEEP PRESSING AND PUT ON YOUR ARMOR AND GET YOUR WEAPONS OUT AND PREPARE YOURSELF AND LETS FIGHT THE GOOD FIGHT OF FAITH UNTIL THE DAY WE SEE JESUS FACE TO FACE!!!!!!!!!!!!!!!!!!!!!!!!!!!!!!!!!!!!!!!!!!!!!!!!!!!!!!!!!!!!!!!!!!!!!!!!!!!!!!!!!! !